The Brighten Face Mask by Laurel Whole Plant Organics is ideal for mature, sun damaged, or scarred skin. This facial mask is specifically formulated to give a restorative feel to skin with a firm, bright appearance. It features organic and sustainably farmed camu camu, acerola berry, and rosehip fruit – all for their high amounts of vitamins A, C, and E. Vitamin C is used to improve signs of sun damage, reduce the look of hyperpigmentation over time, and visibly restore collagen and firmness. Other key whole plants in this mask are calendula, gotu kola, and comfrey to offer a look of youthful, healthy skin. Essential oils of frankincense, carrot seed, cistus, sweet orange, and lemon round out the formula bestowing a look of brightness and elasticity. Moisten face and hands. Apply 1 tsp or less to palm, and trickle a bit of water in with your finger tips. Work into a paste and apply gently to face and neck. Leave on for 10-15 minutes, then rinse. We recommend using a brush and bowl for easier mask application. If desired, add 1-2 drops of your favorite face serum to mask mixture to prevent the mask from drying entirely on the skin. 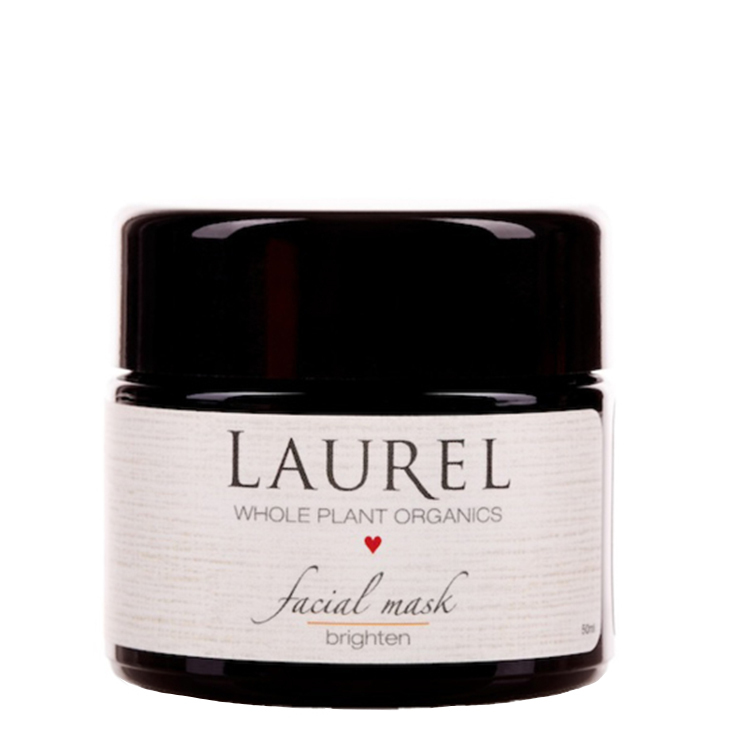 There's a wonderful YouTube video of Laurel Wholeplant Organics showing us how to use a dry mask. I've been a convert ever since. This one doesn't exactly smell amazing, but it is truly effective. (All the other Laurel products I've tried tend to smell absolutely, positively, intoxicatingly good). This brightening mask will show you just how powerful plants can be, especially if you suffer from hyper pigmentation. Love it.